Worldwide by Katie Shatz with illustrations by Miriam Klein Stahl. 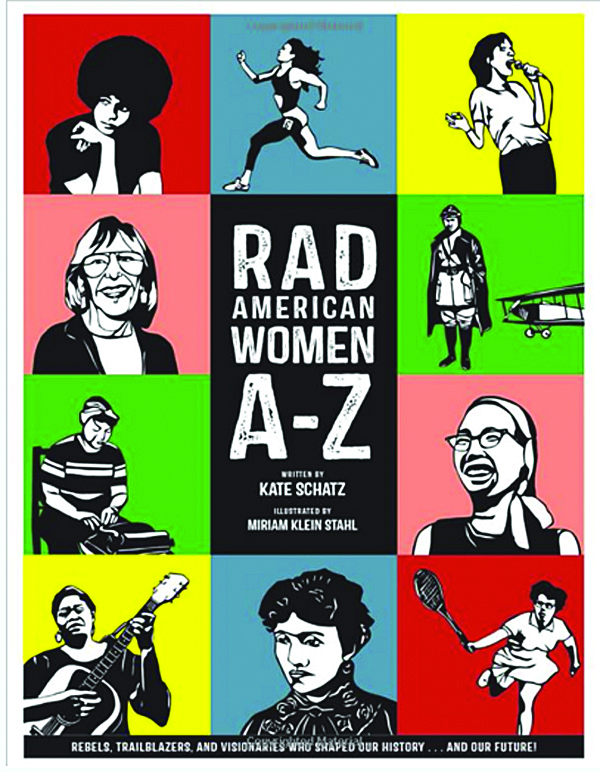 Rad American Women illustrates the alphabet—but instead of “A is for Apple”, A is for Angela Davis, the iconic political activist. B is for Billie Jean King, who shattered the glass ceiling of sports; and C is for comedian Carol Burnett. Also out this fall and available at Door No. 3 will be Dead Feminists: Historic Heroines in Living Color. This letterpress-inspired book by illustration/printer team Chandler O’leary and Jessica Spring is a long-awaited title that ties inspiring women and the challenges they faced to today’s most important issues. HOURS: Stop into the studio 10am-3pm Thursday through Saturday or by appointment. INFO: www.doorno3.com LOCATION: 502 S. Glover Street, Twisp, Wa on the TwispWorks Campus.